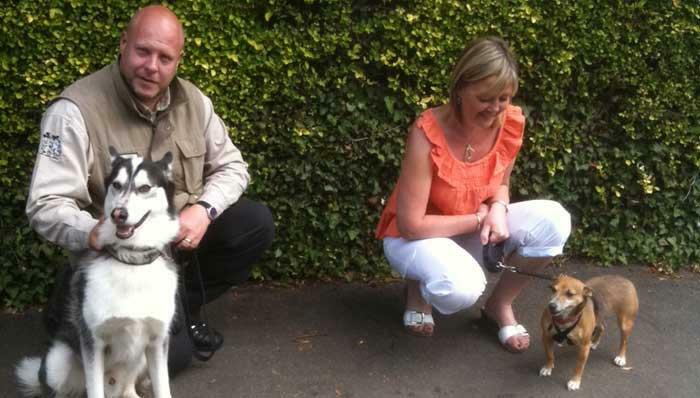 Lee Hardy, Grand Master Dog Behaviour Therapist & Dog Trainer in Derby. Lee received recognition in 2016 for helping over 3,000 dogs and their owners. 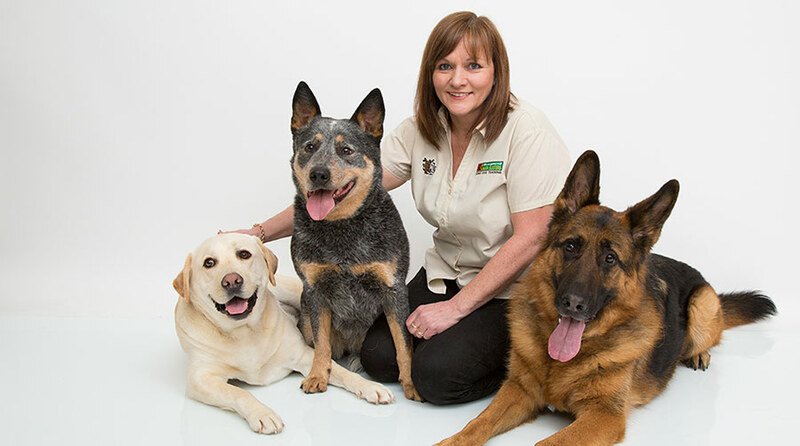 No doubt if you are looking at this page you are thinking of getting help with your dog. You may have tried everything from basic dog training and obedience classes to watching all the TV programmes in your quest to get better control over your lovable rascal. It's not that your dog is naughty, they're just misunderstood. Many years ago, before I joined Bark Busters Dog Training, I remember a friend once said to me "Get a dog it will change your life". Boy he wasn't wrong there. My dog turned my life upside down, leaving me desperate for help. Now, over 10 years on and thanks to Rannan, a black Labrador, I am enjoying my career with Bark Busters Home Dog Training. Rannan had major problems. Serious aggression to other dogs was the main issue and everyone I spoke to said the same thing. 'Have her put to sleep, she will make your life a misery'. I am so glad I didn't take that advice, since Rannan spent many years happily living with me and six of my other dogs before she sadly passed away in January. Six other dogs! How you may ask? Well all those years ago when I was looking for help, possibly as you are now, I found Bark Busters Dog Training. Rannan was under control in almost no time - certainly within the first visit with Bark Busters. I was absolutely blown away by the training techniques; so much so that I had to find out how I could help people like me to have happy and well-behaved dogs. At that time there was an opening for someone to work as a Bark Busters dog trainer and behaviourist and I jumped at the chance. That was a quite a few years ago now and I have never looked back. Since then I have constantly worked with owners fixing their dog's behaviour problems. It's great to see the smile on those owners faces when they realise that there is hope and that they are getting results. From homes with 12 dogs (yes I have trained 12 dogs in one household) to people with rescue dogs and puppies, I have ensured the dogs are happy and obedient because their owners understand them and know how to behave with them. Through helping out at rescue centres and working with dogs from the RSPCA in Burton, I have helped ensure that rescue dogs stay in their new homes and live in harmony with their new owners. We get a dog for many reasons and we want them to be a member of the family, but a lot of dogs interpret our kindness and our behaviour the wrong way and start to take control of us. They are not doing it to be naughty, it's in their genes and they are just misunderstanding you as a "Pack Leader". This is where I can help and with my expertise and experience I can get you and your dog understanding one another again. The training programme is easy to follow and in most, if not all cases you will see a result on the first day of my visit. If you're still not convinced read the testimonial from all the happy clients on my pages. If you are experiencing such problems as Pulling on the Lead, Boisterous Behaviour, Barking or Howling, Separation Anxiety, Destruction, Aggression, Toileting and much more or you just want to get a good start with your puppy, then I can help you to get things back on track. Why not drop me a line to see how I can help. Excellent first session, really put us at ease and gave us a few tips to be going on with while the puppy settles in. Looking forward to the next session.